Going to dim sum as a big Chinese family is great. You get to order lots of different dishes and you never have to pay! Traditionally, the patriarch foots the bill, so who am I to go against tradition? 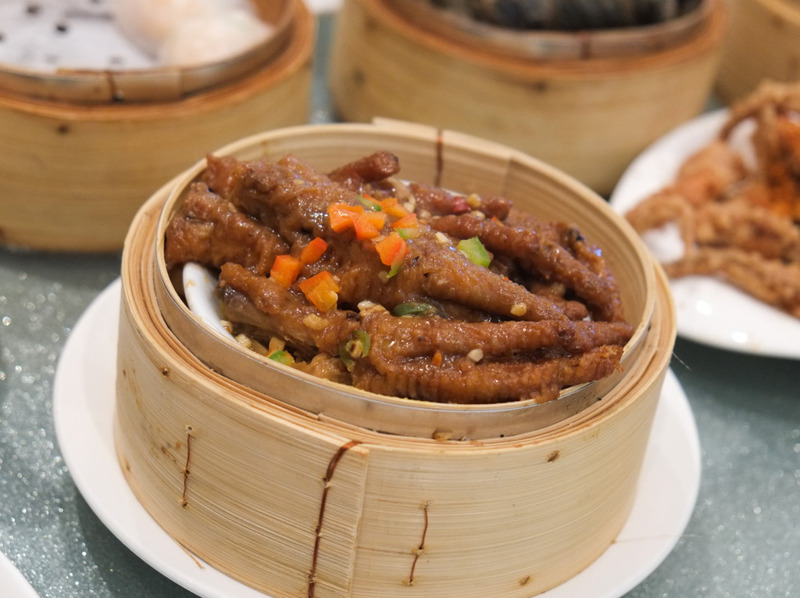 It kinda surprises me that for all the years I’ve been writing and photographing food, I’ve never really covered Chinese restaurants…especially dim sum. I think it’s cuz I never felt that I could adequately cover a dim sum meal because the action is so fast and furious! The dishes come out whether you’re ready or not. Everyone’s always spinning the lazy susan and ruining my photos, so it’s not always a calm, contemplative experience. I wanna slow down and enjoy this har gow and it’s soft and stretchy yet resilient — oops!!! — ten more dishes have arrived! Sigh…put down my food, pick up the camera, take my photos before the family gets pissed, and eat my next half-bite before the next wave of dishes come. Boo-hoo. 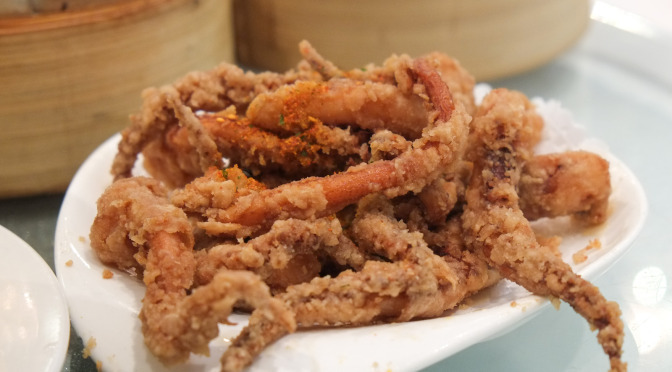 So, after a relatively relaxed-paced dim sum meal, I thought I’d share a post about this family favourite, Grand Dynasty Seafood Restaurant. 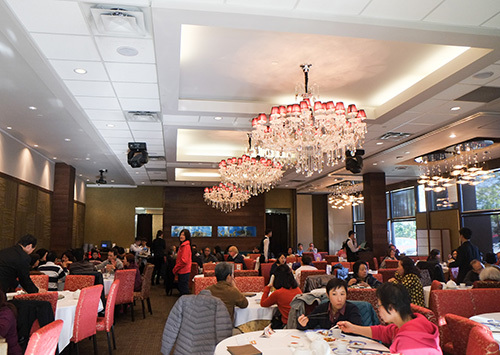 It’s located next to the Grand Villa Casino near Canada Way and Willingdon in Burnaby. I’d classify it as on the higher end of mid-range as far as Chinese restaurants go. Definitely more expensive than places like Western Lake, but the upgrade in quality is noticeable and worth it. The dim sum at Grand Dynasty is stronger than their dinner, so we come for dim sum more often than we do dinner (although we HAVE had some pretty great dinner dishes here, like their pork belly and Peking duck — and accoutrements). I’m not sure why my parents settled on this place as our family go-to place, but we’ve always been happy with the service and quality. We used to go to Spicy Court near Oakridge Mall a lot. The food there was quite good, and it was a bit off-radar, so it wasn’t crazy busy all the time. 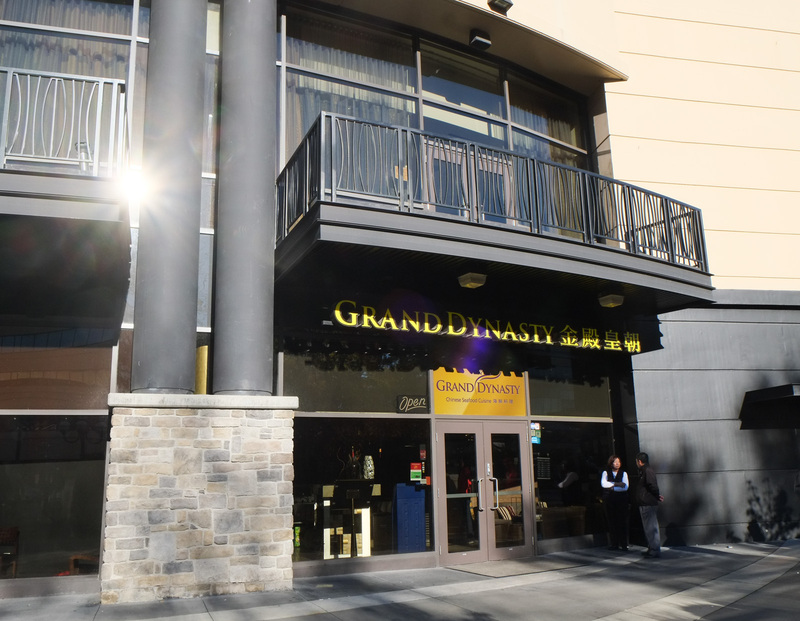 Since Spicy Court closed down a few years ago, we’ve made Grand Dynasty our family spot for special occasion dim sum. This is what the outside looks like. There’s a Japanese restaurant to the left that always seems to be closed. And down the block to the far left is the Grand Villa Casino. What’s with all these Chinese restaurants located near casinos? Here’s the room. It’s a medium-sized place. I really wanted to say that “they put the ‘nasty’ in Dynasty”, but they don’t. Darn. I’ve seen this boneless stuffed chicken wing dish on Instagram. 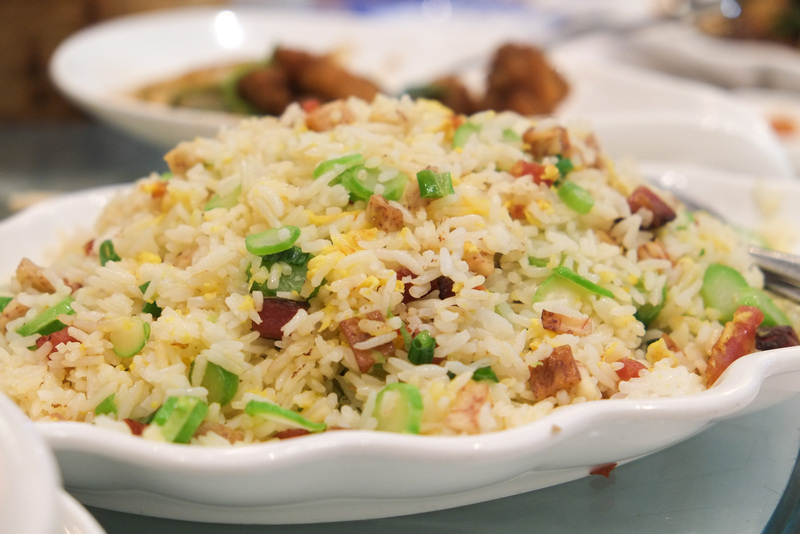 It seems to be one of those trendy Chinese restaurant dishes. But at $5.60 (on special) for ONE wing, no thanks… Maybe if I hit the jackpot next door I’d buy a wing for everyone in the restaurant…but that’d come out to…~$840…mmmmm, on second thought, no. Their full menu is available on their Facebook page. 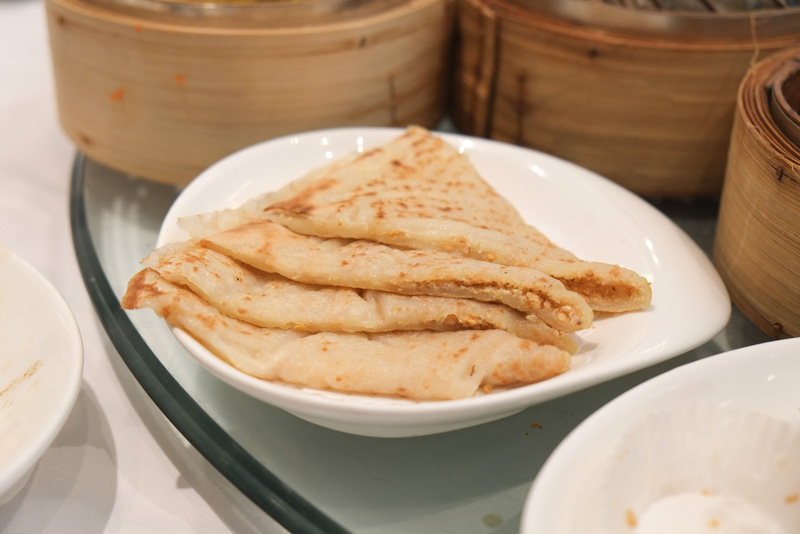 Their dim sum dishes range from $4.50-$5.95. 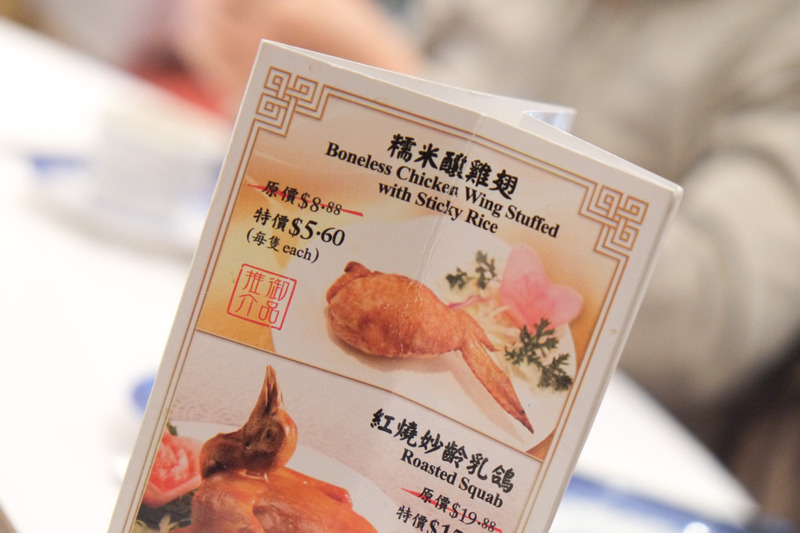 The days of $2.50 dim sum are long gone. And if $2.50 dim sum still exists, I don’t want it. 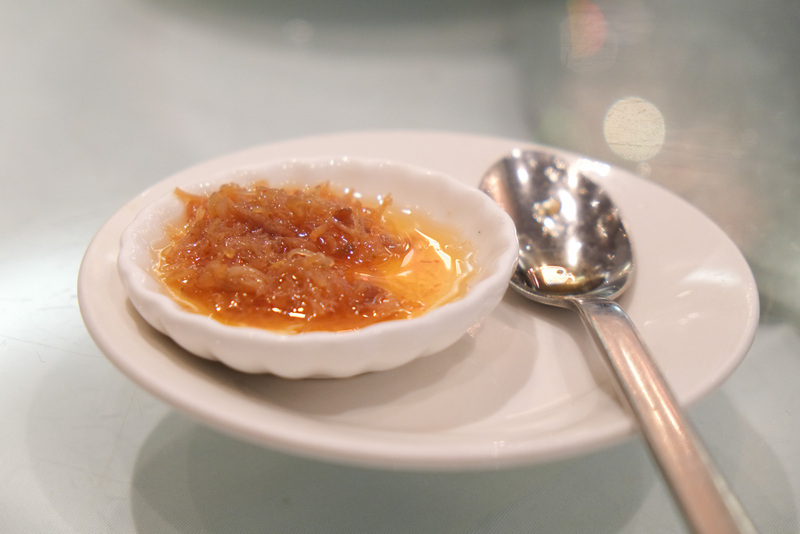 Their XO sauce. My mom told me that not everyone gets a dish of XO sauce, like you have to be “in the know” or something. You could try asking for a dish, but you might be charged for it. 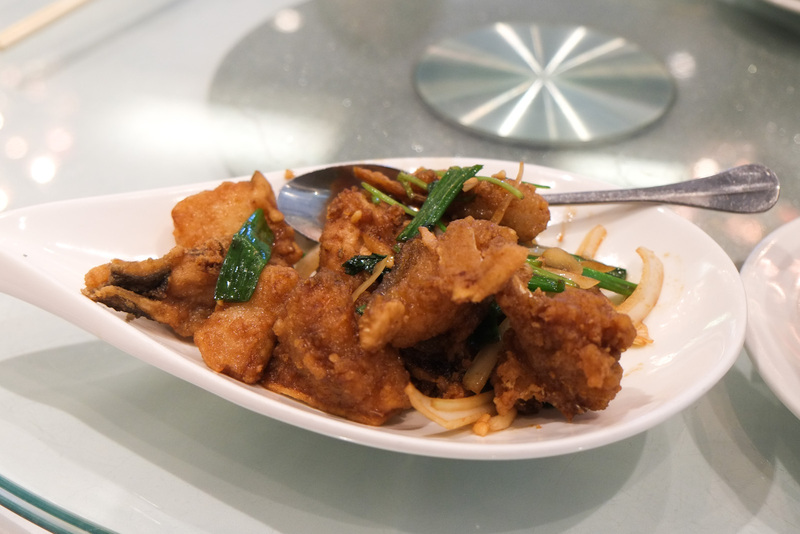 It’s chock-full of dried scallop and is just a tiny bit spicy. 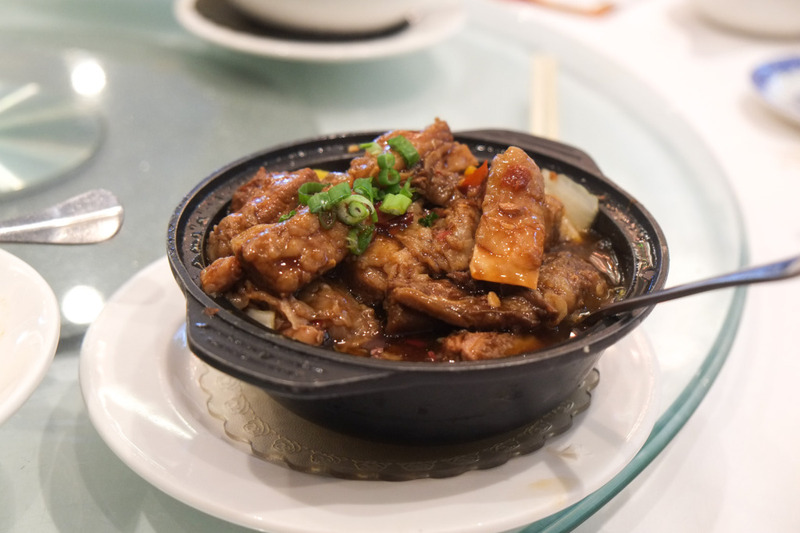 Stewed Brisket Hot Pot. Tender stewed beef brisket was a childhood favourite of mine. I looooove it, even the fatty pieces and the pieces with that chewy membraney thing. This one’s a good version. Has sui choy underneath that tastes great covered in that sauce. I don’t know the name of this dish, but if I were to name it, it would be Dish of Fried Reject Fish Parts cuz that’s basically what it is. But we actually like eating all those interesting parts of the fish (like the collar) where you can find all these tasty bits that shouldn’t go to waste. Also, deep fry anything and it tastes good. Wicca loved this dish. 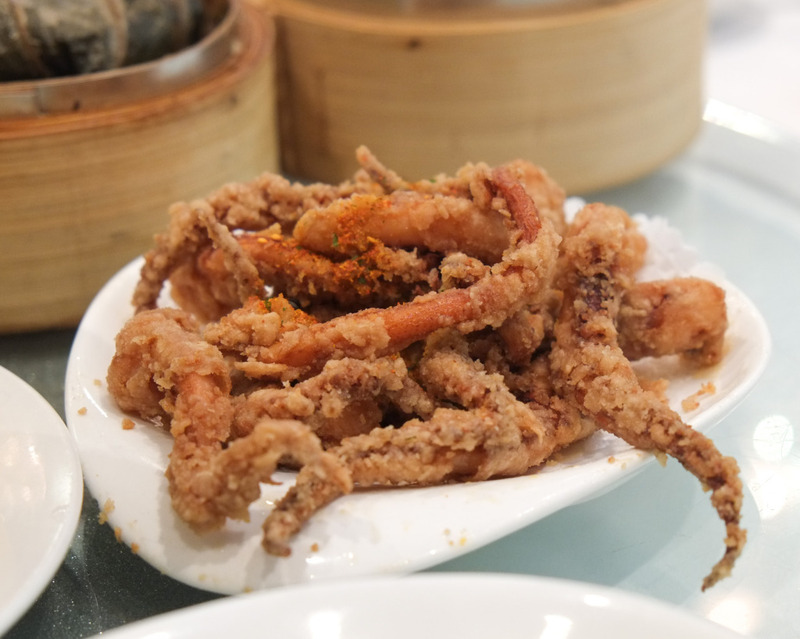 Deep Fried Squid with House Seasoning. Hahah, “house seasoning”. I don’t know of ANYONE who doesn’t like this dish. It’s crunchy, it’s tender and chewy at the same time, and not too salty! One of the kids in our extended family would get all sweaty and frantic when this dish hit the table. He’d double-fist these things like someone was gonna take it away from him. That’s the kind of crazy yet understandable behaviour that fried foods like this can generate. That kid’s now a towering hulk who could crush me. Looking back at this meal, I wish I ate more of this. 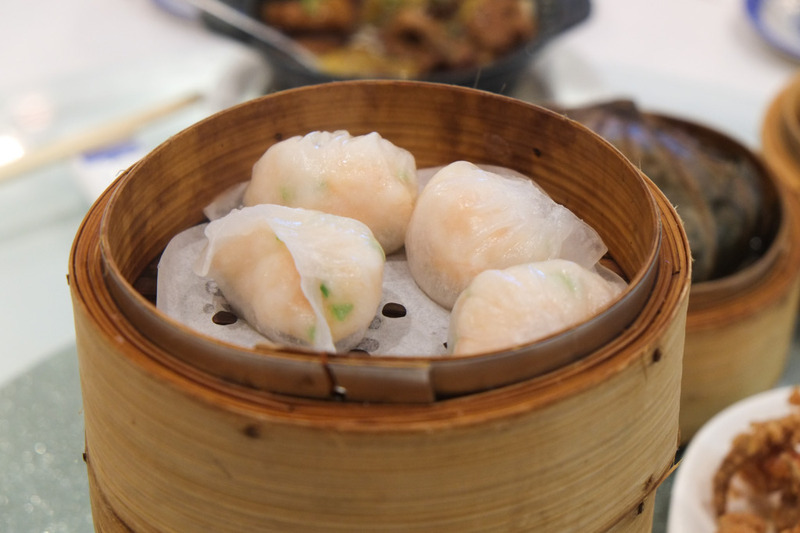 Steamed Prawn Dumplings (Har Gow). One of the classic trifecta of dim sum dishes: Har Gow, Siu Mai, and…uh…I think it’s a hundred-way tie for the third classic dim sum dish. 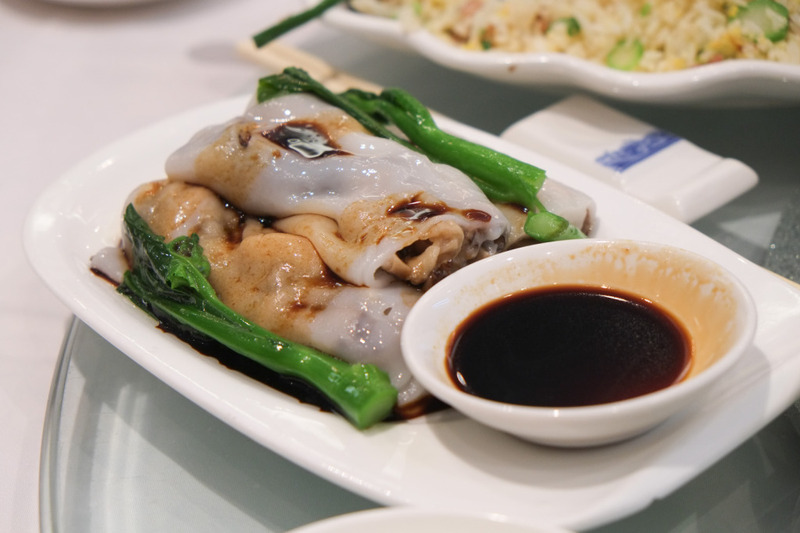 There could be a million arguments for which dish takes the third spot in the dim sum trifecta. 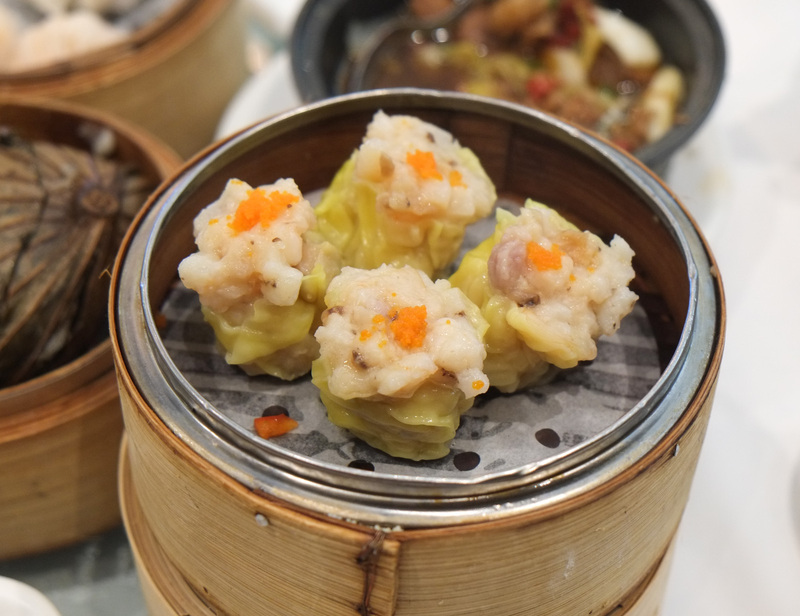 Actually, some people would even argue for siu mai to be removed from the trifecta… Anyways, no matter which restaurant you’re in, har gow is the one must-order dish. 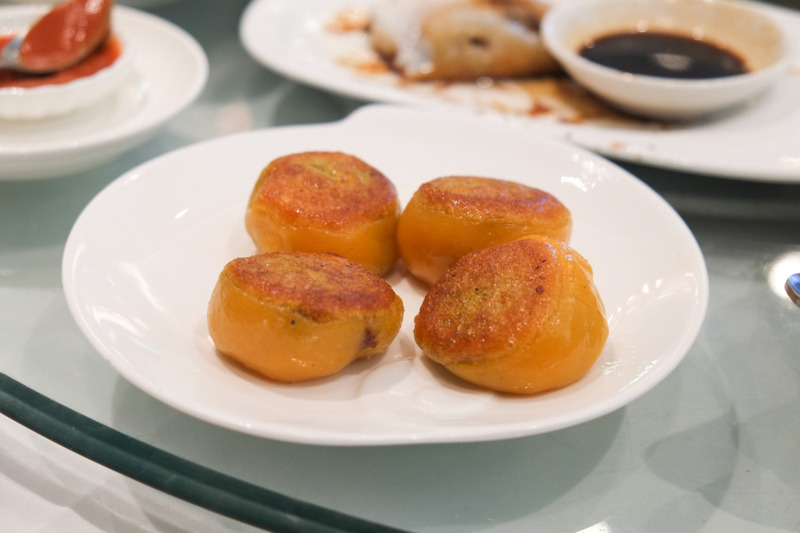 It’s history, preparation, size and taste practically define dim sum. 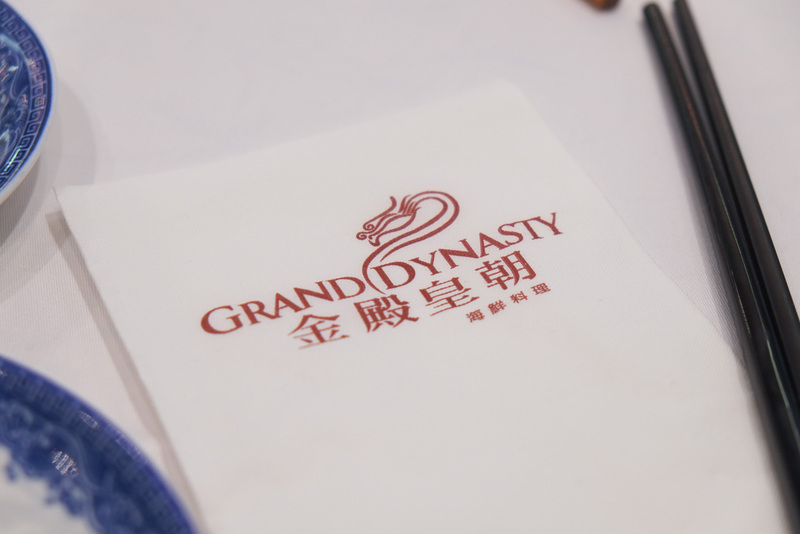 That said, Grand Dynasty’s version is good. Not an unwieldly gargantuan dumpling, but a more modestly-sized (and dare I say proper) shrimp dumpling. Hot sauce is a must. Steamed BBQ Pork Buns. I prefer these over the baked version. I just love that pillowy texture and the way it looks like an exploding cloud frozen in stop motion. A kid’s favourite. This is THE dish for freaking out white people. For Chinese people this ain’t no thang at all. I’ve never had a bad fung jow before. 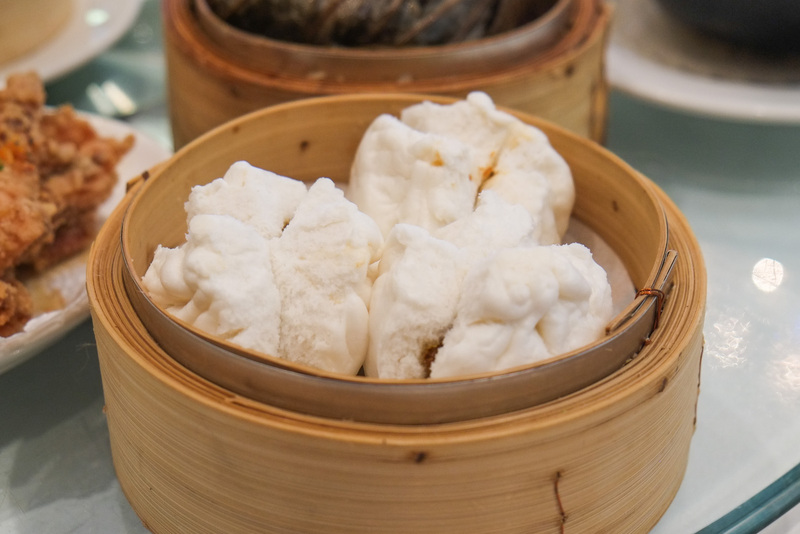 To me it’s always tasty, and variations are simply a restaurant’s particular subtly different take on this classic Chinese dim sum dish, whether they go the black bean route or the more savoury/sweet route. 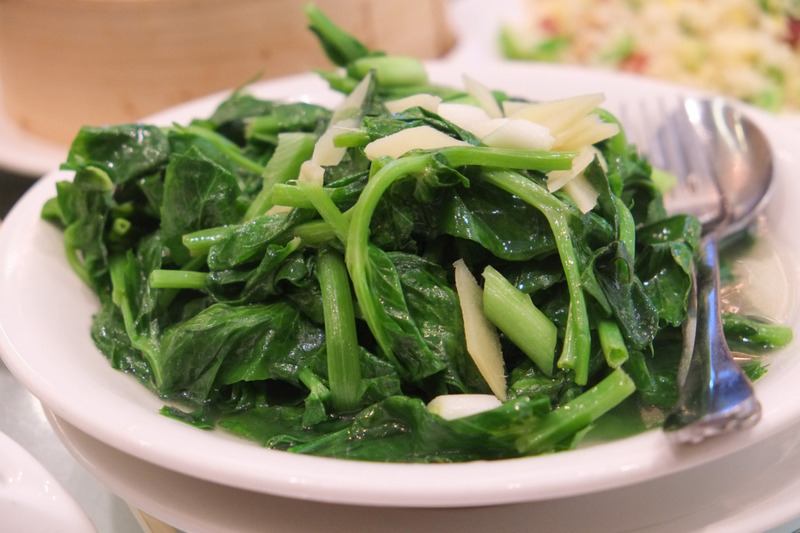 A dish you have to verbally order during dim sum cuz it’s not on the dim sum menu, Stir Fried Pea Tips. 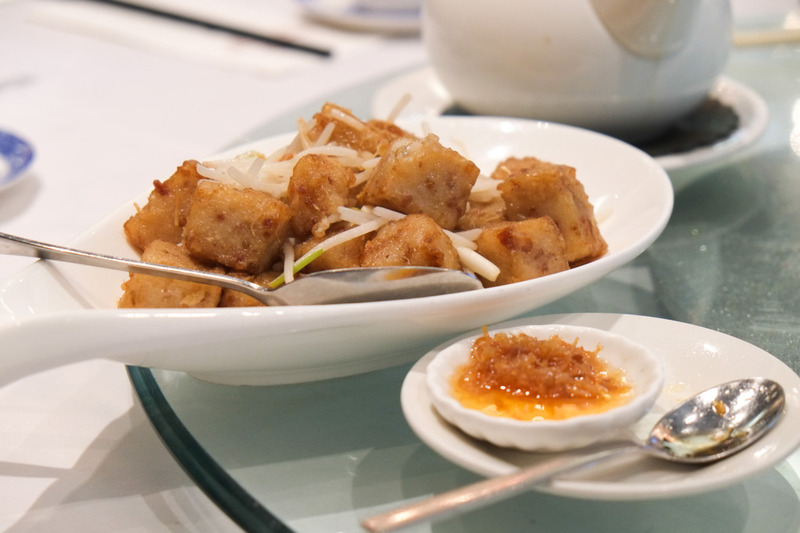 It’s really helpful to order a lighter vegetable dish during dim sum to help lighten the affair. I can’t believe people used to mulch pea plants into the ground before we discovered that we could eat the rest of the pea plant. A really tasty vegetable that’s in no way weird or challenging. Pan Fried Reserved Meat & Taro with Fried Rice. I think the menu means “preserved meat”, meaning lap yuk, which is like a Chinese bacon. Sorry, I was wrong. It’s actually just Chinese sausage, or lap cheong. The great part of this fried rice dish is the cubes of taro. Not oily either, which is always a plus. Steamed Pork Dumpling with Tobiko (Siu Mai). Here’s the companion to the har gow. I think it was some time in the late 80s or early 90s when I started seeing Chinese restaurants putting tobiko (flying fish roe) on top of siu mai. That thin, slightly chewy yellow skin is a great contrast to the meaty insides. Steamed Rice Roll with Beef (Cheong Fun). You can get this filled with either beef, shrimp, mushrooms, etc. I like the beef version the most. Sweetened soy sauce on the side. 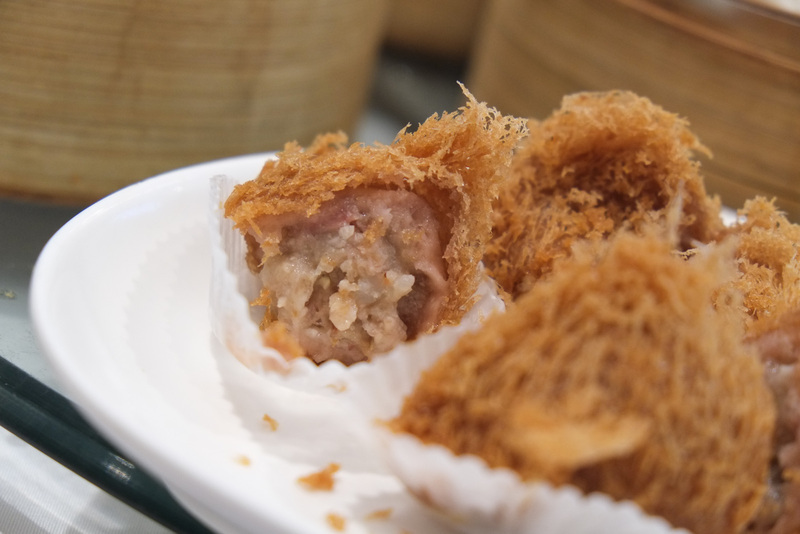 Deep Fried Taro Dumpling with Minced Pork. Wicca loved this one. A relatively light version of what can sometimes be heavy and dense. Light ‘n crispy coating. Addendum: while eating the leftovers, we discovered PINE NUTS in the fried taro dumpling, something we were too distracted to notice the first time. Awesome. 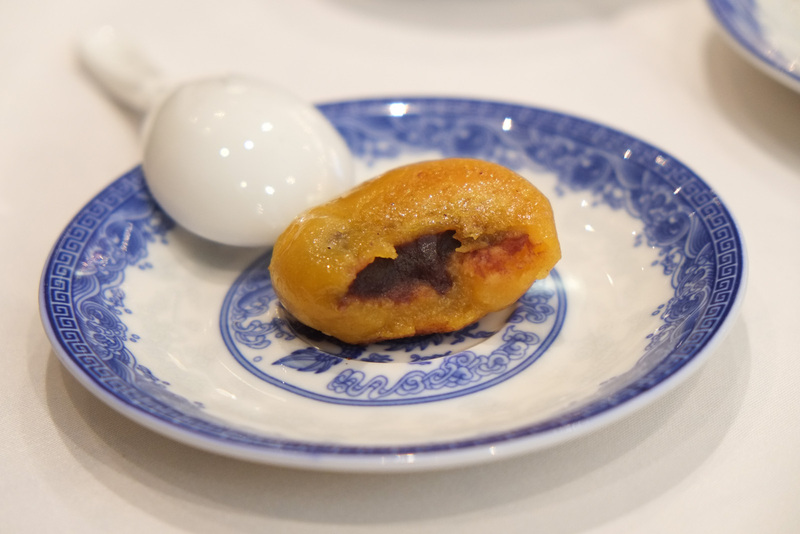 This was a new dim sum dessert item, Yam Mochi with Red Bean Filling. The outside wrapping was mixed with yam, hence the colour. Pan-fried on the outside. The mochi had a satisfying chew, and the red bean filling was rich and creamy without being too sweet. A sweet ‘n chewy mouthful. Anyway, was reading reviews on Grand Dynasty and landed here. Food looks good.. might make a visit soon.